Moringa Powder is a natural extract from the Moringa leaf. Being a raw product it maintains the Moringa leaf's valuable nutrients, including protein, vitamins and minerals. Available in 100g, 250g, 500g. Moringa powder is a natural food extract made from the leaf of the Moringa - a flowering tree cultivated in tropical and subtropical regions of Africa and Asia and known as ‘The Tree of Life’. Moringa powder contains a variety of valuable nutrients, including protein, vitamins A, B1, B2, B6, B12 and C, and the minerals iron, calcium, magnesium, phosphorus and potassium, and boasts a rich, nutty flavour. Moringa powder is a natural food extract made from raw Organic Moringa leaf. Are certified organic by "Organic Farmers & Growers"
As a raw product, the product has kept the natural benefits from the Moringa leaf. Moringa powder contains vitamins A, B1, B2, B6, B12 and C.
Moringa powder contains the minerals, iron, calcium, magnesium, phosphorus and potassium. Moringa powder is an versatile kitchen ingredient that can be used to enhance all of your favourite drinks and rawfood recipes. A popular way to use Moringa powder is to make Moringa Tea with it. It makes a lovely cup of tea to relax with, and a pleasant change to normal caffeinated beverages! As the Moringa powder carries quite a strong (but pleasant) flavour, only a small amount is required for making Moringa Tea. A level teaspoon to a cup of water is recommended, although if it not strong enough, add a little bit more. Moringa powder also makes a ideal ingredient in smoothies. Try 1 tablespoon into a smoothie of choice, or if you have not tried moringa powder before start with half a tablespoon and then gradually add more. Definitely have a watch of the recipe video for the moringa smoothie recipe below, it is the perfect way to try moringa if you have not had it before! This luscious green smoothie that’s utterly loaded with fresh pineapple and creamy coconut milk is guaranteed to add a little sunshine and smiles to every breakfast! Roughly chop the pineapple into chunks (taking care to remove the core), and pop into your blender, along with all of the remaining ingredients. Blitz until smooth and creamy and then pour into a glass garnished with fresh pineapple. Now all that’s left to do is sit back, relax and enjoy the tantalising taste of the tropics! The Moringa tree is also known as ‘The Tree of Life’, ‘The Miracle Tree’ or ‘The Horseradish Tree’. 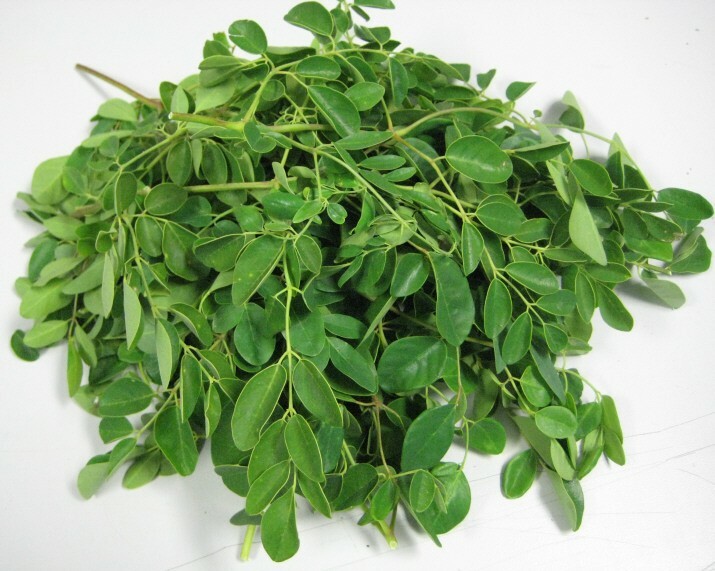 The Moringa gets its name from the Tamil word ‘Murugai’. Moringa is cultivated in poverty-stricken nations as a main source of food and nutrition. Moringa powder boasts a rich nutty flavour that works well in most dishes. Moringa powder is particularly good when paired with lemon. Do not buy Moringa Leaf Powder if you have an allergy to Moringa Leaf. 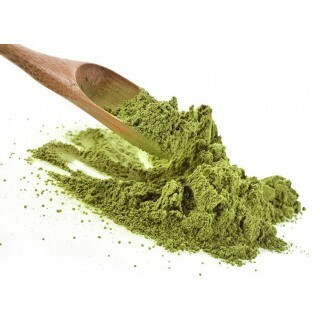 Always read the information on the packaging carefully before choosing to use Moringa Leaf powder. Packaged in a facility where nuts are processed. 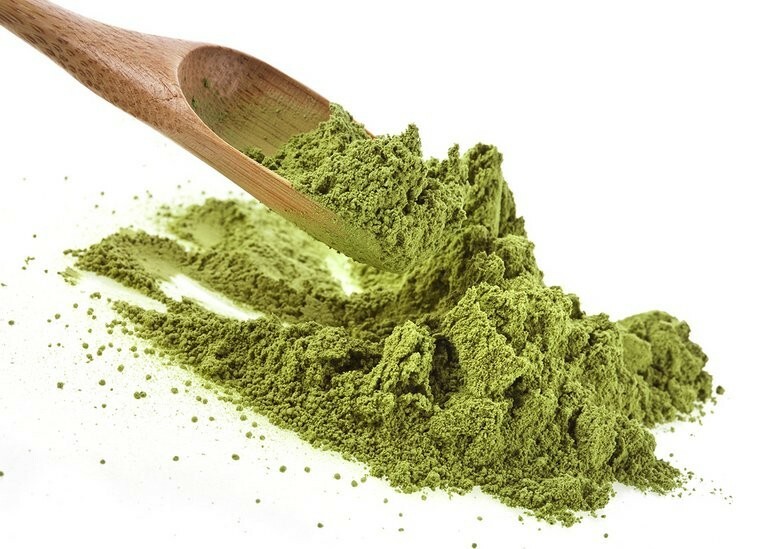 I have been taking the great Moringa powder for around 6 months or more and have lots of energy and I know it is doing me good and it tastes ok as well strongly recommend a great price as well. Try it and won't regret!! I been taking Moringa over a year, gives me energy and support through out the day. 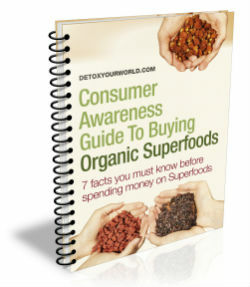 The benefits are amazing, all the vitamins and proteins you need plus many other benefits. I use to call 'miracle powder' Strongly recommend !! !